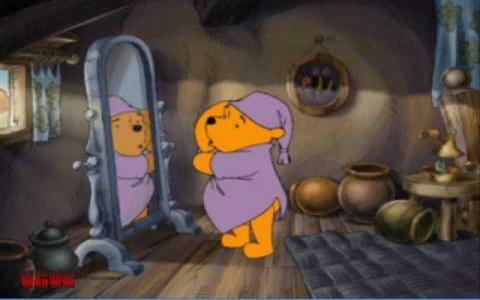 Lovable old bear. 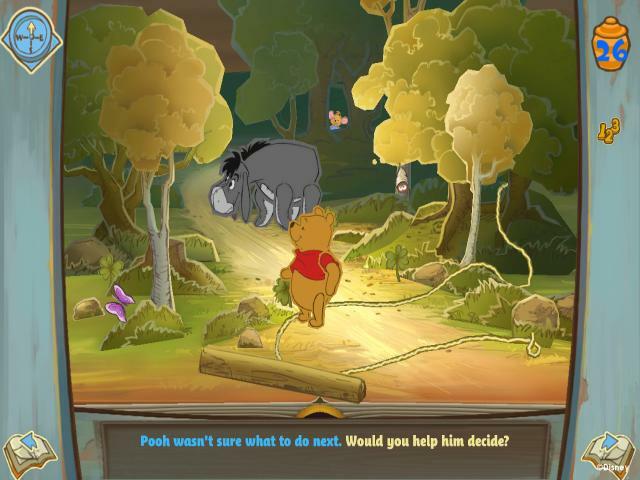 This is great little edutainment title that forms a companion game to the similarly themed Winnie the Pooh Toddler and Winnie the Pooh Kindergarten. 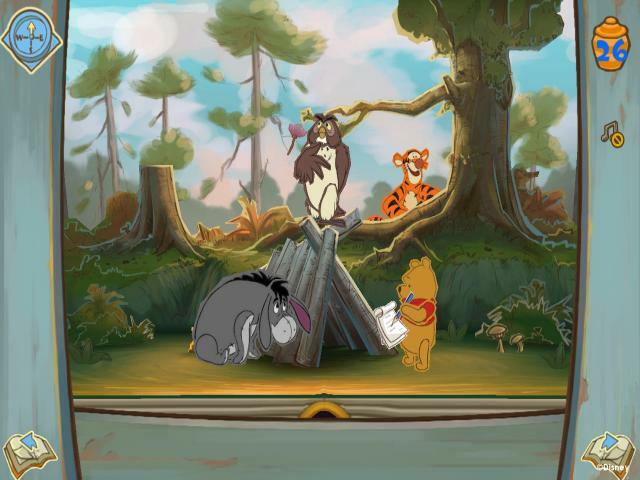 As with most Disney licenses, it combines high production values with some genuinely entertaining and educational activities, making it the perfect title for fans of the lovable old bear. 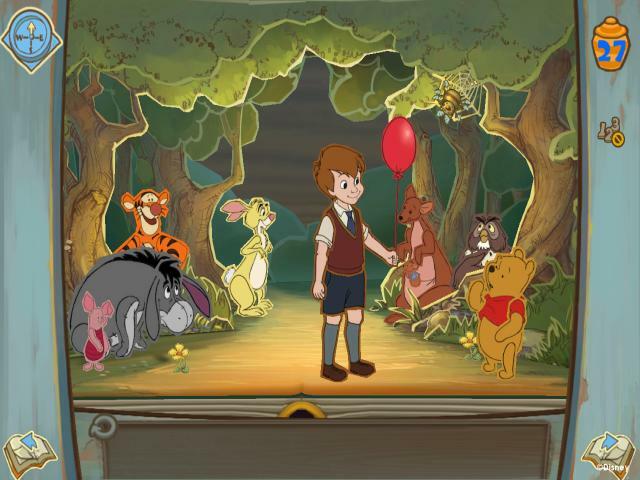 The idea here is that Winnie wakes up with a strange feeling that he's forgotten something and when he realizes it might be Eeyore's birthday, he has to travel around 100 Acre Wood, visiting his friends and making arrangements for a party. 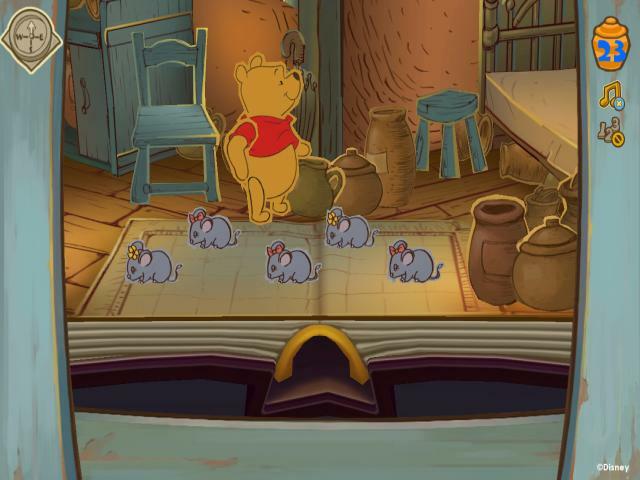 When he visits each character, there's a minigame to play, such as Kanga's Alphabet Soup, which involves mixing the correct letters into Kanga's soup; Rabbit's Canning Encounter, where you help out Rabbit by attaching labels and counting fruits and vegetables; and Piglet's Pictures, where you must color in Piglet's drawings. Completing each game unlocks extras like decorations and gifts while there are lots of things to print and even a chart to measure your learning progress. This really is a near perfect example of this type of game. 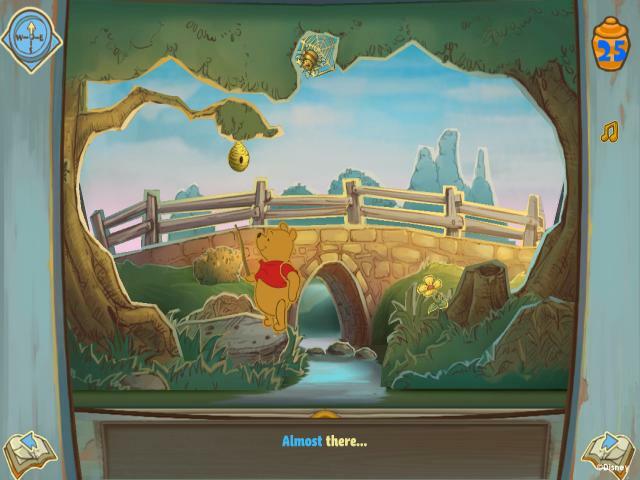 It really gets the look and personality of the famous and much-loved characters, with excellent renditions of the stars and the environments, and which are a joy to behold. The games too are varied and always fun to play, with a nice mix of skills to practice and with a good level of challenge. The extras are just the icing on the cake of what is already a super package so if you have Winnie fans in the house, there's no excuse not to get this.